Send money to India fast, at by amazing exchange rates. Instant deposits – We offer deposits within "4" mins any bank in india.! The easiest way to send money. Get started today! 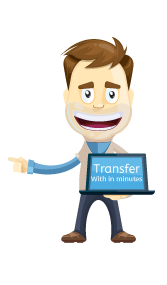 Amazing rates and fee-free transfers! Get improved rates when you send $1,000 or more and our best exchange rates when you send $2,000 or more! Plus, pay no fees when sending $1,000 or more and paying with your bank account. We offer deposits within "4" mins to other bank accounts in India, when sent during Indian bank processing hours. We are committed to securing your financial information and employ proven technology to protect and secure your personal information. 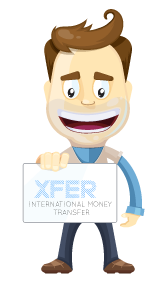 Plus, Xfer offers a money-back guarantee for your peace of mind.